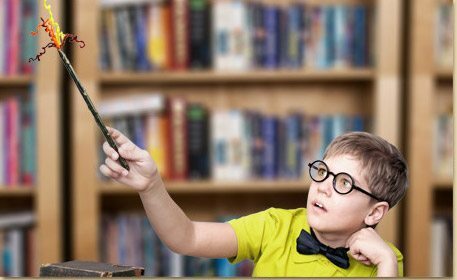 Make a sorcerer's wand for Halloween. This wand is perfect for any wizard, magician or witch to perform their magic! Wrap a medium size wood dowel with a piece of construction paper at a diagonal. 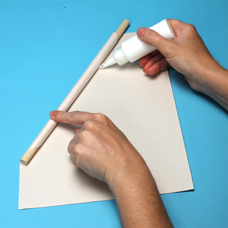 Glue the paper around the dowel as your work. 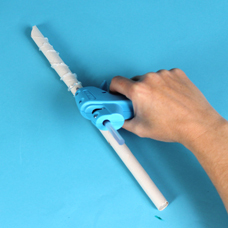 Have an adult heat up a hot glue gun. 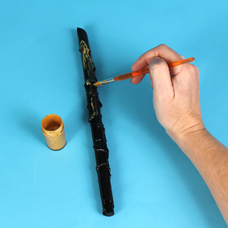 To create the “knobby” effect of the wood, drizzle glue on the wand as you spin the dowel. The glue should dry pretty quickly. Lay the wand on a piece of wax paper on a protected surface or inside an open box. Spray black Simply Spray Project Paint onto the wand and allow to dry. For more tips on using project paint, watch our video here. Tip: always begin and end spraying off the project to lessen the amount of drips. 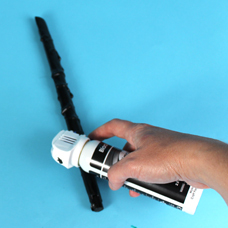 Paint a coat of gold acrylic paint to give the wand an aged look. Bend and coil red, orange, yellow and gold Fuzzy Sticks to create fire like flames. 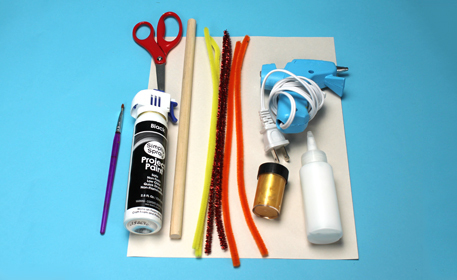 Wind the bottoms of the Fuzzy Sticks together and secure them in the tip of your wand with glue. Now go create some magic! Click here to see the video about this project!